ASPHostPortal is the leading provider of Windows hosting and affordable OWIN & Katana ASP.NET Hosting. Our price starts from $4.49 per month. Open Web Interface for .NET (OWIN) defines an abstraction between .NET web servers and web applications. By decoupling the web server from the application, OWIN makes it easier to create middleware for .NET web development. Also, OWIN makes it easier to port web applications to other hosts—for example, self-hosting in a Windows service or other process. Katana is the OWIN implementation by Microsoft. It’s a webframework which is really lightweight and much more modular then ASP.NET. ASP.NET applications always include System.Web, which contains all functionality like caching, authorization, etc. Katana is way more modular. It let’s you build a application where you only add the references you really need. 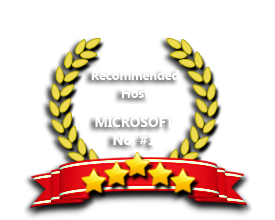 If you are looking for the right Windows OWIN & Katana ASP.NET Hosting provider, we are the right choice for you. Our Windows Cloud Hosting fully supports OWIN & Katana ASP.NET hosting. You are more than welcome to try our Free Windows Cloud Hosting before you decide to buy. You can get your Free Cloud Windows hosting account up and running within the next few minutes.